Pumpkin spice latte is a gift of the gourds for foodservice brands, increasing customer frequency and spending, according to new data from The NPD Group. Starbucks Corp., which has offered its limited-time pumpkin spice latte for 15 years, moved up the release date this year in the United States and Canada, launching the limited-time flavor on Tuesday, Aug. 28, from its usual September debut. “Since making its debut in 2003, PSL remains Starbucks’ most popular seasonal beverage,” the Seattle-based coffee giant said earlier this week. 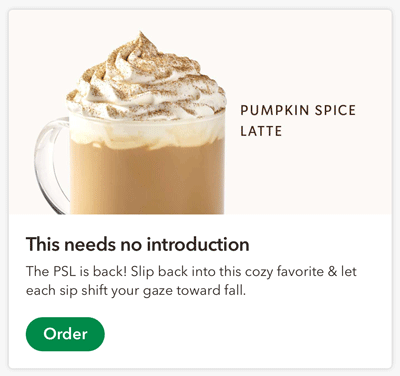 NPD’s Checkout platform, a research service that harvests and analyzes purchasing behaviors, said pumpkin spice latte consumers in 2017 visited PSL establishments twice as many times as typical patrons and spent on average $3 more when purchasing the flavored lattes. NPD’s Checkout data found the LTO buyers are driving other sales as well, making three times as many non-pumpkin spice latte purchases as they do pumpkin spice lattes. - Tended to be higher income: About 60 percent of PSL buyers had a household income of $75,000 or more. - Skewed slightly female: About 53 percent of PSL buyers were female. - Leaned toward no children in the home: About 60 percent of PSL buyers did not have children 18 and younger in the household. - Tended to be younger: About 55 percent of PSL buyers were younger than 45. 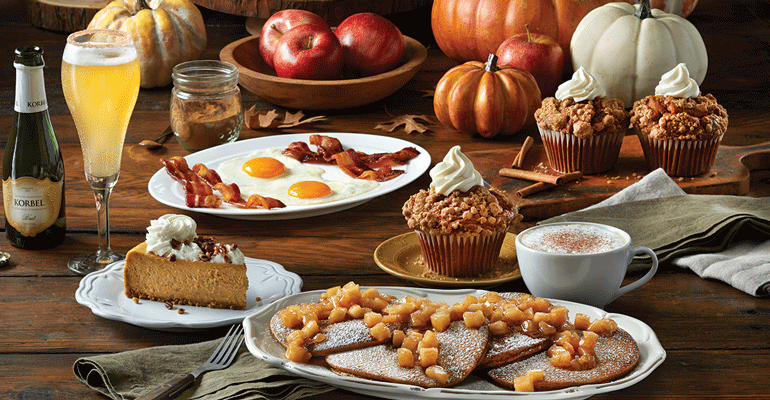 The popularity of pumpkin spice has led foodservice brands to create seasonal line extensions. Starbucks, for example, has expanded its pumpkin spice fall coffee beverages to include a Teavana Pumpkin Spice Chai Tea Latte. 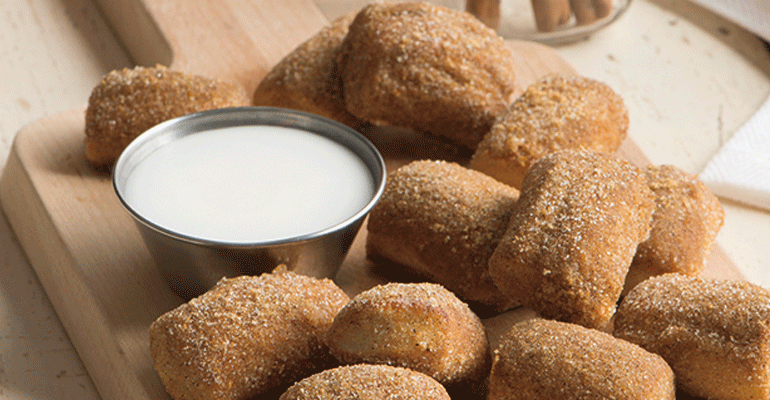 And Lancaster, Pa.-based Auntie Anne’s on Sept. 3 will bring back its Pumpkin Spice Pretzel Nuggets nationwide. The pretzels can be paired with a sweet glaze or cream cheese dip, sold separately. “Nothing says ‘fall’ like Pumpkin Spice Pretzel Nuggets,” said Marcel Nahm, vice president of marketing at the 1,800-unit Auntie Anne’s. The LTO pretzel nuggets are available until Oct. 8. Dallas-based Mimi’s Café this season is using its pumpkin spice latte as a springboard for similarly flavored griddlecakes, muffins and cheesecake. The 82-unit brand is also adding a Spiced Caramel Mimosa with spiced caramel and cinnamon on the rim for $7.99.